Stock # 00J19181, 1.4 L, AT, 12 mi. 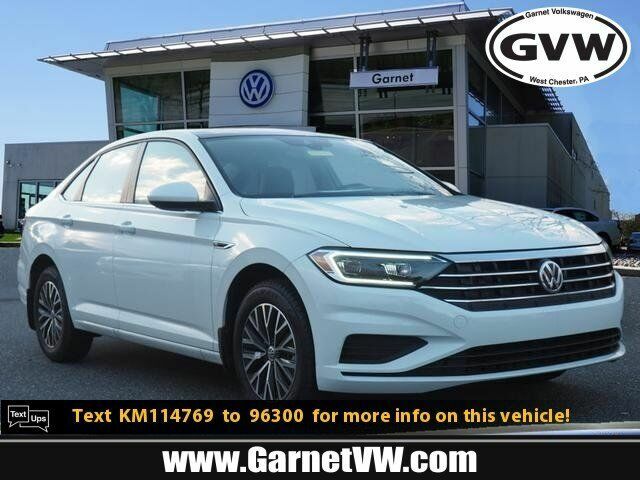 This Pure White 2019 Volkswagen Jetta 1.4T SEL might be just the 4 dr sedan for you. Drivers love the sharp white exterior with a dark beige interior. Want to learn more? Call today for more information. **All pricing and details are believed to be accurate, but we do not warrant or guarantee such accuracy. The prices shown above, may vary from region to region, as will incentives, and are subject to change. Vehicle information is based off standard equipment and may vary from vehicle to vehicle. Call or email for complete vehicle specific information. People's First Price reflects factory to dealer incentives and all factory/VCI to consumer incentives. Golf, Jetta, Passat, Tiguan and Alltrack customer must finance with Volkswagen Credit at #2 Dealer Choice Option rate. For well qualified customers 700+ FICO. Not all customers will qualify for lowest rate. Please see dealer for details. People's First Price can not be combined with VCI Low APR and Volkswagen Customer Sell Down Cash has been applied to sales price. Please see dealer for details.